One of the more controversial parts of the Fair Work Act relates to personal liability for breaches of the Fair Work Act (also known as accessorial liability). What this means is that if a person is deemed to have been involved in a breach of the Act, they can be personally fined for the breach, in addition to any fines levied against the company. People who get caught under these provisions include HR staff, payroll staff, people providing HR duties in a workplace, managers, accountants, bookkeepers, and external HR consultants. It does not matter how senior or junior you are if the court deems you were “involved” you may face a fine. But what does “involved” mean? It means you were not the main driver of the breach but were an accessory. It does not matter if you were aware of the law or not, nor if you have any control over the actions of the company. If you were aware of the essential facts or elements of the contravention, then you could be held personally liable. Penalties for these breaches are currently up to $10,800 per breach for individuals and up to $54,000 for corporations. Be aware that insurance companies do not pay fines for these matters, and corporations do not pay individual fines. If you get a personal fine, you are generally on your own to pay it. If you are involved in any way with managing or dealing with employee entitlements, then you need to know and understand the law. Always comply with the requirements of the Fair Work Act, and ensure any advice you give is compliant. If you are directed to undertake work that is in breach of the legislation by a more senior manager (such as typing up contracts), challenge the directive and refuse to implement the directive while explaining your reasons (ideally in writing). You cannot be asked to perform duties that break the law. Seek professional advice and include a requirement for all contractors for services or advice that they must comply with the Fair Work Act. Perform regular audits of contracts and payroll to ensure all your obligations are being met. If you don’t have the skills in-house, hire an external HR consulting firm to conduct the audit on your behalf. 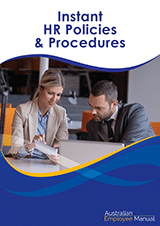 Our Instant HR Policies and Procedures or the NDIS Self Managers Direct Employment HR Manual will help you comply with your employment legal requirements. The Fair Work Ombudsman has shown they are increasingly willing to take accessorial liability matters to court. 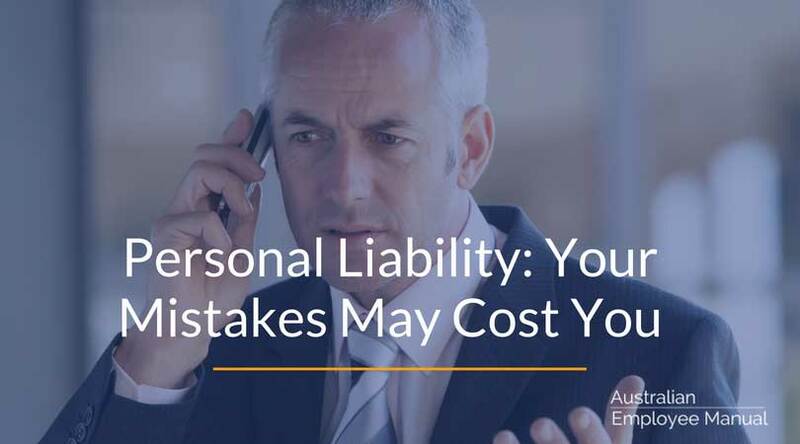 You need to know and understand the issue, and take appropriate action to reduce your liability. Read more: Recent cases regarding accessorial liability.